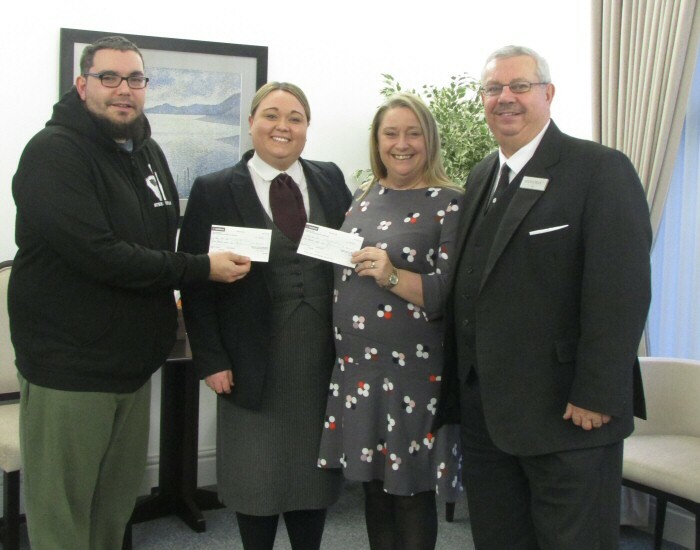 Pictured are (L-R) Chris from Andy’s Man Club charity, Rachael from Rose Funerals (FD who dealt with the late Lewis Lapsley’s service at our facility), Karen Miller (mum of the late Lewis Lapsley) and Ray Lawton our Chapel Attendant. Kirkleatham Memorial Park and Crematorium presented cheques totalling £7000 to the charity Andy’s Man Club today (1st Feb 2019) which were donated from the ICCM recycled metals organisation. Andy’s Man Club is a charity, which was highlighted after the passing of Lewis Lapsley, and donations in his memory were given to this charity which was is trying to halve the amount of male suicides of under 45’s.